*Disclaimer: Due to FCS moving to a new warehouse, and not having the amount of staff for demand, their shipping has been taking 2+ weeks. Just wanted my readers to be aware. 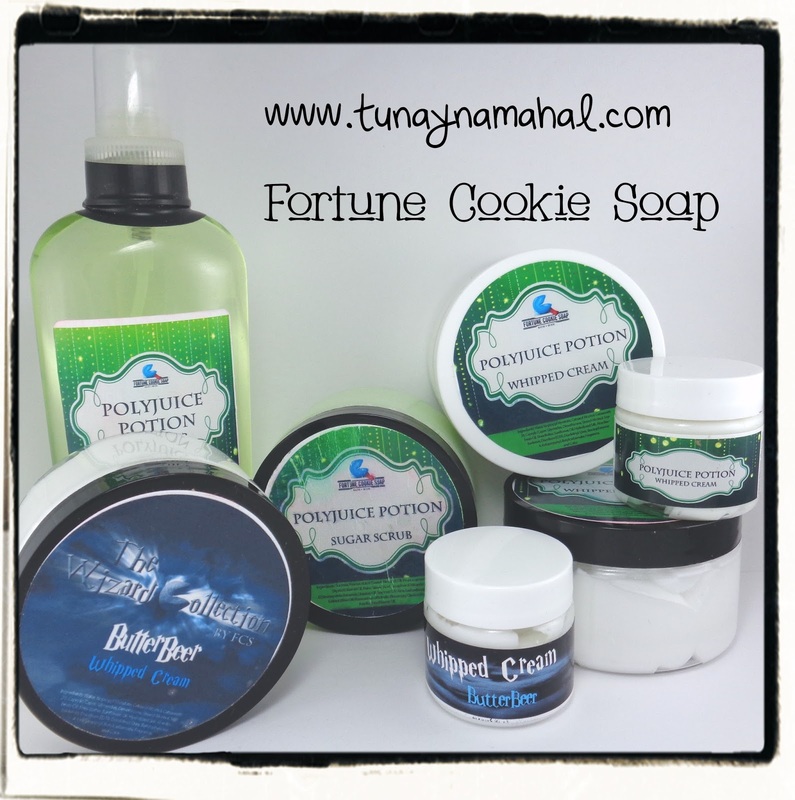 For my birthday in September, my cousin down in Georgia sent me some Fortune Cookie Soap goodies. I had forgotten how much I loved them. I placed an order myself shortly after. My cousin sent me soap, and a gift set of their little whipped cream body lotions. Butterbeer and Polyjuice Potion (Yay, Harry Potter!) are my favorite. I'm obsessed with those scents! The Polyjuice body mist above, actually isn't scented really strong. I was a bit disappointed. But I just bought their Polyjuice Potion perfume oil, so I'm going to put a few drops in the mist to make it stronger. Polyjuice Potion smells like citrus, grapefruit, strawberries, melon, peaches and kiwi. It's a very clean fruity scent. Butterbeer smells like amazing vanilla caramel rum, and toffee. It smells so good you wish you could eat it! I also have the bar soap in Butterbeer. My bathroom smells amazing. lol. It's hanging in the shower, in my KB Shimmer soap saver bag. The whipped cream body butters are amazing. It actually kinda of looks like whipped cream. And the texture is very thick and fluffy. A little goes a long way. These are the 4 oz jars. The mini jars I have that came in a gift set are 2 oz. 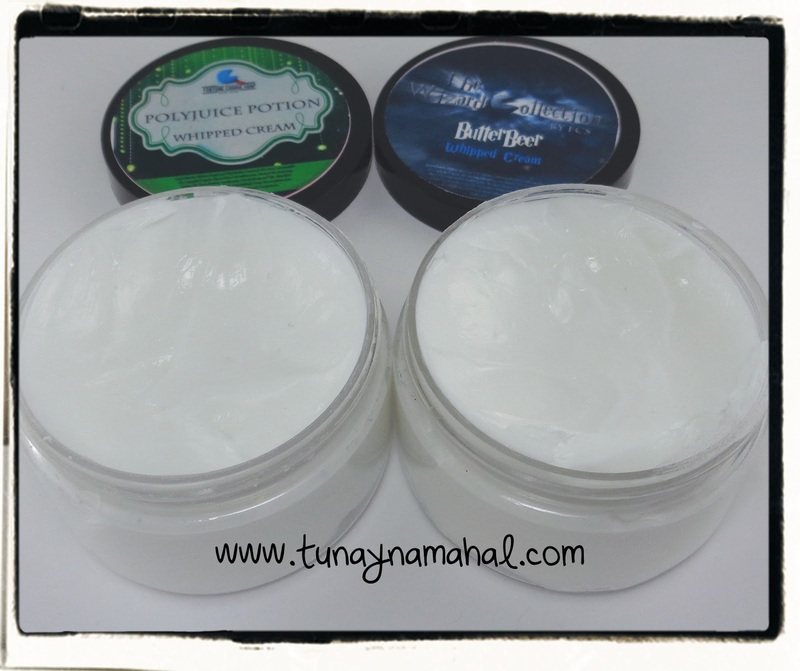 The PolyJuice Sugar Scrub is also amazing. It also moisturizes really nicely. I just wish they sold a container bigger than 4 oz. My cousin got me this. It looks good enough to eat right?! 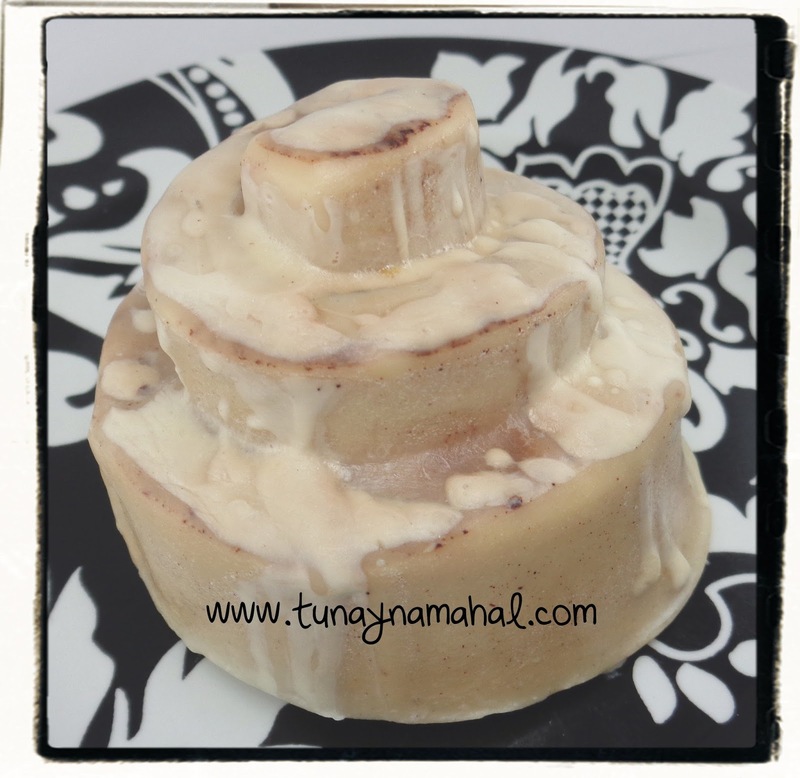 It's cinnamon roll soap. And it smells exactly like a cinnamon bun! If you're lucky enough to live in or near Jenks Oklahoma, they have a retail store you can visit!